Police in Moere og Romsdal said the ship's crew had managed to anchor in Hustadvika Bay on Saturday, amid fears the vessel would run aground. 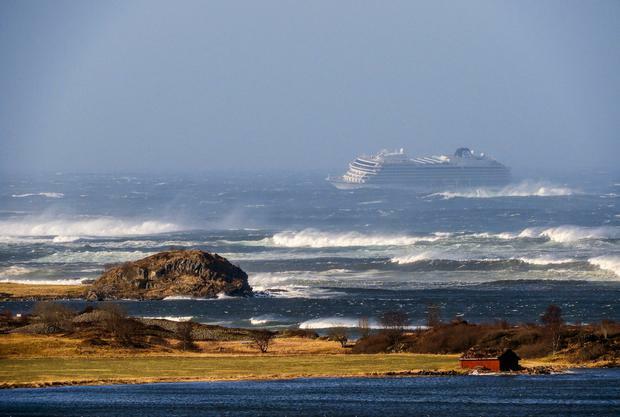 A spokeswoman for Viking Cruises said the ship had docked in the port in Molde, on Norway's west coast, at 4.30pm local time yesterday, having travelled there under its own power. All passengers and crew are safe, she added, and passengers were due to begin flying home later on Sunday. 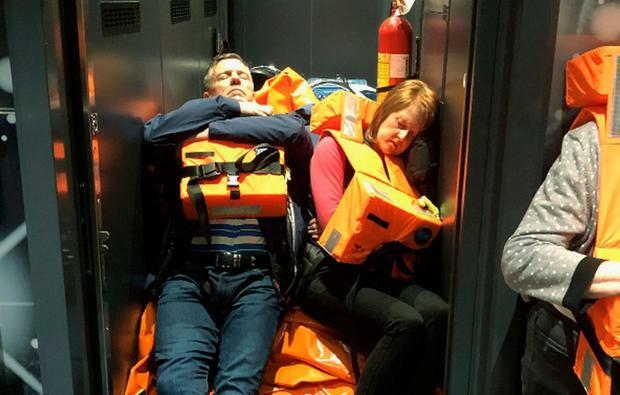 Viking Cruises said 20 people suffered injuries and were receiving treatment in Norway, with some discharged. A statement from the operator thanked local emergency services "for their support and skill displayed in managing the situation in very challenging weather conditions". The operator's chairman, Torstein Hagen, said the events were "some of the worst I have been involved in, but now it looks like it's going well in the end and that we've been lucky". The shipping tycoon, one of Norway's richest men, added: "I am very proud of our crew." Mr Browne said: "We had a few people on stretchers, several with cuts, two with broken limbs, but fortunately we were alright. We were airlifted onto the helicopter which was quite a frightening experience." The ship was due to arrive in Tilbury in Essex tomorrow. The 745ft Viking Sky was built in 2017 and is described on the official website as a "comfortable, award-winning ship, intimate and thoughtfully created".